Our SHAKY WORM HEADS are the most versatile method of finesse fishing. BASSMASTER™ Magazine called SHAKY HEAD'n the most effective lure of 2005. With our FROG LOCKER & XSWIM HOOKS, these baits drive fish wild and they can't resist. Choose from different weights, with and without screw locks. Add DAVIS JIGS to your tacklebox and begin to experience the best in surface to deep cover fishing. The original SHAKY WORM, a 6" floating worm with anise and pork fat added. Combine the SHAKY WORM with any DAVIS SHAKY WORM HEAD and you have a combination that will out perform any knock-off shaky substitute that is available today. 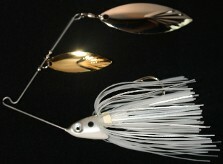 The SHAKY MINNOW, XSWIM MINNOW or the LITTLE WILL'S SWIM MINNOW is the perfect swim bait for the smaller profile baits. Fish it on the XSWIM UNDER SPIN or SHAKY FISH, a jig head or on your favorite umbrella rig. The action is incredible and it requires very little motion to activate its fish catching features. The DAVIS SPINNERBAIT has vibration and durability like no other spinnerbait has. Most spinnerbaits have durability and no vibration or vibration without durability. 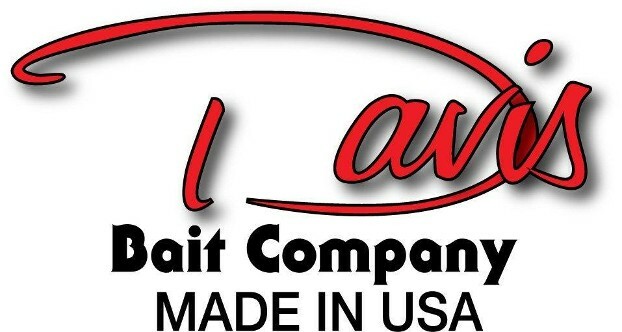 Davis Bait Company in Sylacauga, Alabama, is the premiere manufacturer of the original SHAKY WORM HEAD bait for bass fishing. This is the most effective finesse presentation for finicky bass, and our SHAKY WORM HEADS are the real thing, anything else is a knock-off. When paired with the DAVIS SHAKY WORM, it can be most effective. In 2005, Bassmaster™ Magazine rated the SHAKY WORM HEAD the number one fishing lure. Moreover, we make more than 3,300 different fishing products to ensure that you are prepared for every adventure. Contact us in Sylacauga, Alabama, to request more information about our fishing products.